As we sit down at family tables across the Commonwealth for Thanksgiving this week, Kentucky Farm Bureau wants to take a moment to recognize the role farmers play in providing food for every one of those tables, in both our rural and urban communities. With the great diversification of crops in this state, taking a tour of your Thanksgiving table is like taking a tour of Kentucky itself. Our 76,000 farms located across the state produce everything from the main courses to many of the products that go into traditional side dishes and desserts. And through our vast number of local farmers’ markets, including KFB’s Roadside Farm Markets, and Kentucky Proud products in many of our local super markets, more and more Kentuckians are purchasing locally grown foods. By doing so, they are experiencing the variety of goods all our farm families have to offer. 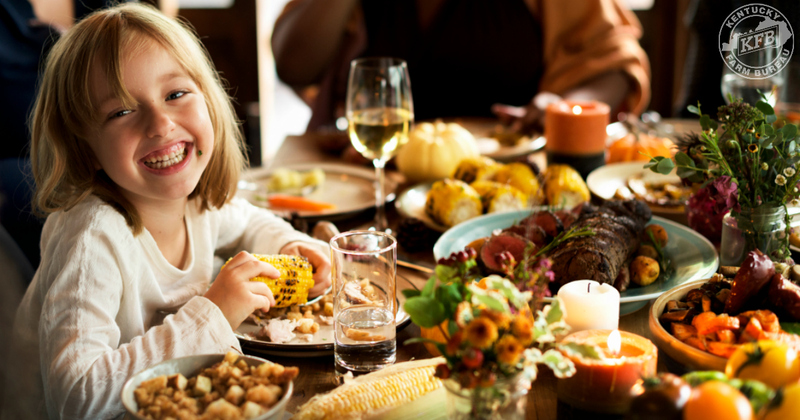 Whether its turkey, ham or beef together with a huge variety of fruits and vegetables, to the dairy and wheat products that grace our Thanksgiving meals, Kentucky farms can produce it as efficiently as any farmers in the world. Not only has the popularity in “buying local” benefited the consumer, but Kentucky’s agriculture industry is one of the strongest in the nation with farm cash receipts regularly topping the $5 billion mark annually. The industry creates a $45 billion total economic impact and more than 258,000 jobs. Kentucky’s farm families produce food that winds up in households everywhere while creating a bond between our rural and urban neighbors that has existed for generations. And as we eat that food, we should reflect on the things that bind our rural and urban communities together. We always stand to gain more by supporting and helping one another no matter where we live in the Commonwealth. The symbiotic relationship among our rural farmers and urban centers means what happens to one affects the other. Through good times and tough times, when we stand together, we all benefit. We at Kentucky Farm Bureau have a message this holiday season: we love Kentucky, her people, her communities and her values. Happy Thanksgiving! We wish you the very best this holiday season.